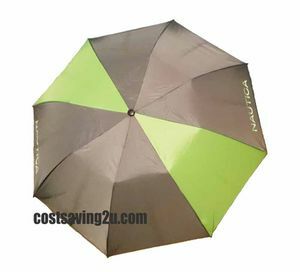 Nautica Golf Umbrella set 68" vented canopy fiberglass shaft auto open, double canopy windproof design. Ergonomic handle for comfort grip. Nautica Golf Umbrella set 56" canopy covers 2 people with ease automatic easy open umbrella with 2 tone EVA foam handle and mesh carry case.